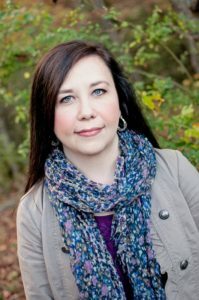 My friend Hope Welborn often says, “I’m not interested unless there’s a dead body.” And that’s okay since she writes Romantic Suspense stories. I am so happy to have Hope guest blogging for me this week. We met at my first writer’s conference when I sat with her at the regional breakfast. She was also from Georgia and so sweet to a newbie like me. At this national conference, Hope was a big deal because she was a finalist for the unpublished author’s contest. I became an adoring fan right away. Never did I think we would end up being friends and in a critique group together. Last year, when I was a semi-finalist in the same contest, she contacted me with words of congratulations, and then we realized we had a mutual friend, Lindsey Brackett. Soon we were forming our own writers’ group. Hope’s words are inspiring and beautiful, and I know you will be blessed by them. I’ve been reading in Genesis during my quiet time before bed. I enjoy reading about the process of creation. It speaks to me as a writer. God had an idea, He followed through on that idea, and something was created. For us, the process is not as simple. I often get frustrated with my own plodding progress. I feel pressures to write quickly, to get something to my agent so he can then send it off to publishers in the hopes of getting a contract. I have a wonderful tribe of writers around me, all in various stages of their journeys. And all in various stages of waiting. Some wait to hear back from an agent, an editor, or a publishing house. Some wait for feedback, critiques, or edits. Some wait until their book is printed and lands in their hands, a finished work. Some wait for their next great idea or inspiration to finish another book. And in the waiting, we wonder. Am I good enough? Will this book sell? Is this the right path to take? Am I just wasting my time? Why is this all so difficult? There’s nothing we can do to change any of this. It is simply the process. The publishing “machine” moves very slowly, and we have to learn to wait patiently. We might start out in different places on the conveyer belt of publishing, but we’re all still on the same assembly line. We are all card-carrying members of Team Wait. There are no shortcuts or by-passes. Each step along the way is a “right of passage” we must all go through. It may seem unreasonable, but there is a purpose behind it all. My mind lingered on those words. I thought back to Genesis, when God created the universe. In just six days, He designed and formed everything that makes up our world. But, He also created the process of growth. He decided how long it would take for a tiny acorn to grow into an oak tree large enough to provide shade on a warm day. Sure, He could’ve made it so that acorn would form a new, fully grown tree by the next day. But, He didn’t. 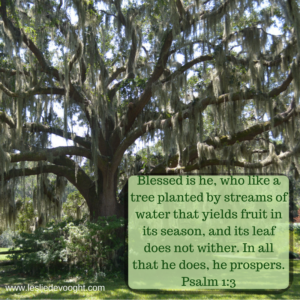 In His infinite wisdom, He knew the tree needed time to grow. Important things happen during the growth period. Roots reach deep into the earth and anchor the tree. The trunk grows, expands, reaching wide and high. It sprouts limbs and branches that give birth to leaves that absorb sunlight and rain to nourish the tree and allow for more growth. And when the winds come, the tree stays anchored because of its deep roots. The strong trunk holds up, the branches sway and bend with the weather, withstanding the storms. Because God knows what the tree will have to endure, He designed a growth period which gives the tree time to become what it needs to survive. I see the same process in our writing journeys. We need time to grow as writers. To learn the craft. To find our voice. To develop our ideas. To understand the industry. To gain an audience. These are all things we need. Things that will hold us upright when it gets difficult. When we get our first rejection. And our twentieth. When we get our first contract, and then our first deadline. When we get a five-star review and a one-star review. When we win. When we lose. Waiting carries weight. It’s a heavy burden to bear sometimes. But important things happen in the waiting. Growth is necessary, and growth takes time. So, give yourself the time you need to become what God has purposed for you to be. Waiting isn’t easy, but if you use that time wisely, it won’t be time wasted. Hope Welborn writes spine-tingling suspense, sprinkled with romance, and saturated with faith. She nerds out over superheroes, survives on chai lattes, and spends time at her family’s North Georgia farm. By day, she masquerades as a web marketing projects manager and by night, she stays up too late putting words on the page. 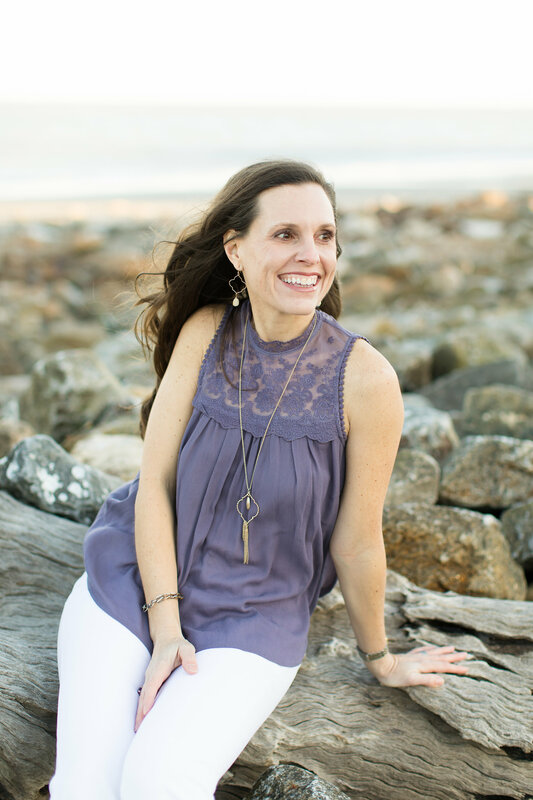 You can connect with her at www.hopewelborn.com or on Facebook, Twitter, and Instagram. Hope is one of my dearest friends and I am proud to say I have watched her on this journey of writing. I tell her often, “You got this girl” and she does, she just doesn’t know it yet. What an inspiration she has been in my life. I do not know what I would do without her. Hope, thank you so much for this lovely reminder. This week, I’ve been really gnawing on fear in the waiting. And reading your words slowed my heart rate and calmed my breathing. Thank you, Barbara! Fear is something I struggle with myself, so I’m very glad to know this helped you in dealing with yours. Keep writing and keep worshipping in the waiting! Thank you, Hope, for important truths you’ve shared. What wise perspective! Thank you, Jeannie! All glory to Him! Nice article, Hope! I’m right there with you! I’m now working on my fifth novel, and still waiting for my first publishing contract. You’re right, God has a plan and he will work it out in his timing. In the meantime, we just keep on writing, keep on learning, and keep praying. Thank for stopping by, Loretta! You are a great writer, and I know that God’s plan for a contract will come at just the right time. Yes, we must keep on and trust His timing.